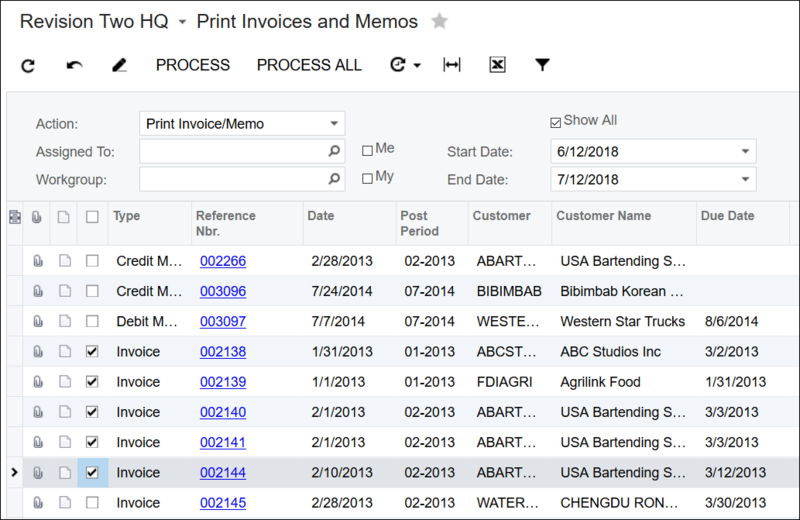 What is the easiest way to print a batch of invoices for a customer between specific dates or invoice numbers? I want to export them to a single pdf. 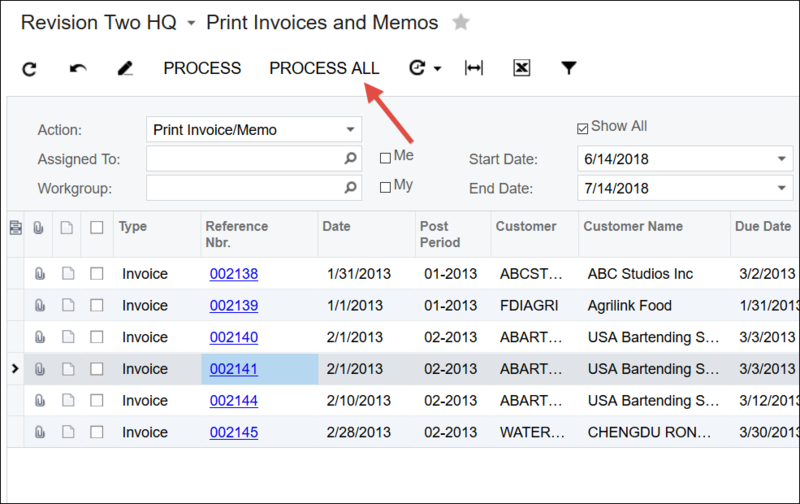 Have you tried the Print Invoices and Memos (AR508000) screen? The catch with this screen is once an invoice is printed you cannot re-print, because it is removed from the list. I guess I can create a GI and batch un-check the "Printed" box, or I may be missing something in here. Also, it won't let me filter for Reference Nbr. field for numbers "Is Between" ... as in the date column. I think that checking the Show All checkbox will show you everything, even the ones that are marked as Printed. Then click the PROCESS ALL button to print everything in the range.  Too embarrassed now. In my defense, I was on vacation, not in the office, hence, a different mind set. Once again, thank you Tim. No prob. That kind of thing happens to me all the time. Always helps to have a second pair of eyes.